This page is intended to give you an overview of the club. If you need any further detail or want to discuss aspects of the guide then please contact the Chairman or for specific diving issues, the Diving Officer (see Contacts page). Henley Sub Aqua Club is a branch (number 0948) of the British Sub Aqua Club (BS-AC), one of the largest international diving organisations in the World. Membership of Henley Sub Aqua Club includes membership of the BS-AC. This gives important benefits, such as worldwide third party liability diving insurance (note that this is not travel insurance) as well as a range of other services and advice, together with the monthly magazine "Dive". 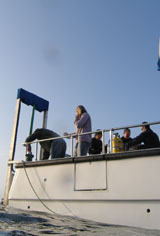 Further details of the BS-AC can be found on its website at www.bsac.com. Qualifications as a BS-AC member are internationally recognised. Henley Sub Aqua Club tries to run as many dive trips during the year as possible, including one or two "diving holidays" each year. All of these are organised by people in the club. Weekend trips are to a variety of locations, including Swanage, Plymouth and Dartmouth. Holiday destinations are varied but have included Scapa Flow, Narvik and the Red Sea. If you would like to join us as a member, or guest (see below) please contact the Chairman or Diving Officer. 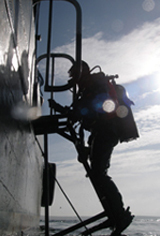 The holidays generally cater for a range of divers and also normally for non-divers where possible. These are club run trips so don't feel you have to leave everything to the marshal, all help is gratefully received! Guests are very welcome at Henley Sub Aqua Club. If guests wish to dive, if they're not BS-AC members, they are insured for six days in any month in any year. If they are from another BS-AC branch then they are already insured. We make a £5 charge per dive for guests to dive (i.e. where they are not a member of Henley Sub Aqua Club) on top of any normal charges. Henley Sub Aqua Club owns a range of diving equipment, comprising BC jackets, regulators, weights, fins, snorkels and masks, available for new divers to use during their Ocean Diver training. This equipment is not suitable for open water use, but equipment can be hired from several local dive shops. Please see our Links page for information.We also have a small inflatable boat with a 4 stroke outboard engine for dive cover and small dive groups.